It’s also appropriate to mention others who have invested in your life, and the wisdom and experiences you gained from them. This can be family members as well as others who have mentored you. The bestselling book Tuesdays with Morrie is an account of how a young reporter heard that his aging 78-year-old college professor, Morrie, had a terminal disease and was very likely to die soon. The reporter set up regular Tuesday meetings with Morrie for fourteen weeks, where he hoped to glean from Morrie’s experiences, history and stories, the essence of what he knew about life. The book describes those meetings and the life principles and stories they discussed. As grandparents, we are like Morrie—although I hope we all have many more years ahead of us. A big difference for us is that our children and grandchildren are not likely to call us and set up regular visits to ask us about our life and soak up all our wisdom. That’s rare, and sadly, would almost seem unnatural in today’s world. But we do have opportunities to capture our heritage for others to enjoy and learn from, and we should be ready to talk about it with our grandchildren or anyone else who may ask. As heritage builders, we must recognize that we can also have a profound influence on other adults and children who aren’t family members, as mentors or grandparent figures. If grandchildren live far away and we see them only occasionally, that shouldn’t stop us from investing in future generations. There’s another important aspect that people often associate with heritage: a physical inheritance. What material assets do you want to pass on to your grandchildren? Of course, we should give careful consideration to wills and trusts, who gets what, how much, and when. We can spare family members from a lot of trouble and potential conflict if we have those documents in order. Additionally, think about keepsakes, souvenirs, and items of significance that could be part of your heritage. 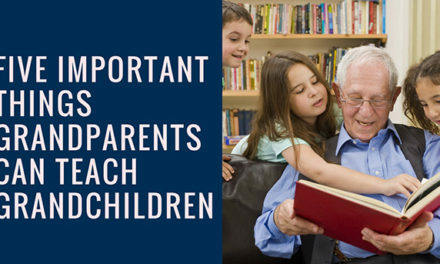 Did you receive anything physical from your grandparents or someone else that holds great meaning for you? Then, projecting ahead, what similar items do you want to pass on to your grandchildren? 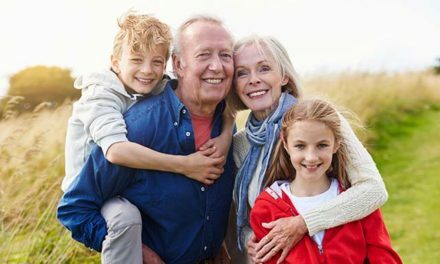 Planning to leave an inheritance flies in the face of the popular bumper sticker and other cultural messages which say, “I’m spending my grandchildren’s inheritance.” Even physical things can have a profound impact on children and grandchildren. I have two close friends who share a similar story. Both had grandfathers who passed on something very special and valuable—their homes. And for both, the houses they received became a financial base that made it possible for them to go to college and eventually buy a house of their own. Now, as they think about their own heritage, they are looking for similar ways to bless their descendants with physical assets that will help them pursue their own future goals and dreams. As you can see, building a heritage is a serious enterprise requiring forethought and planning. But once you get started, I’m confident that your creativity will kick in to help with the specifics. 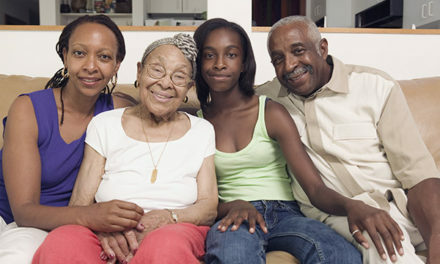 There are two components that are vitally important for grandparents who are seeking to develop a positive heritage and give their grandchildren the best opportunities to be healthy, secure and level-headed into their adulthood and beyond: dignity and destiny. For a variety of reasons, many of us can easily look at the past or our current situation and focus on the negative. We all have deficits and imperfections in our family system, and we’ve all made mistakes in the past. For sure, there are behaviors we would want to acknowledge and reject, like alcoholism, infidelity, dishonesty, criminal activity, and so on. Maybe some of us have been through hardships or suffering through no fault of our own, and there may be good reasons to feel like we’ve been dealt a bad hand in life, such as what my mother experienced in her early years. Or maybe something we’re facing right now gives us a good excuse to complain, whether it’s a health issue, a broken relationship, financial hardship, etc. For me, dignity and destiny capture the pervasive attitude we need to maintain: always positive and unwavering. 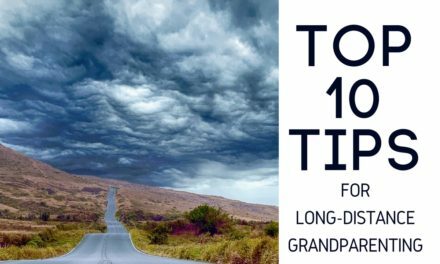 PreviousDo You Know the 3 L’s of Grandparenting?